NEW Multi Display Adapter Utilities supports Windows 10! “Multi Display Adapter” to be upgrade. We will offer smart visualization for more efficiency operation. Well-adapted to production environments, reliable and easily installed. Compatible with cloned or extended display mode. Independent monitoring and operation on each panel is possible. Prevent trouble due to unintended simultaneous operation by multiple users. * Use of this exclusive control is limited to a specific host machine. Peace of mind in a harsh environment. "Coated model" features more protection from corrosion. 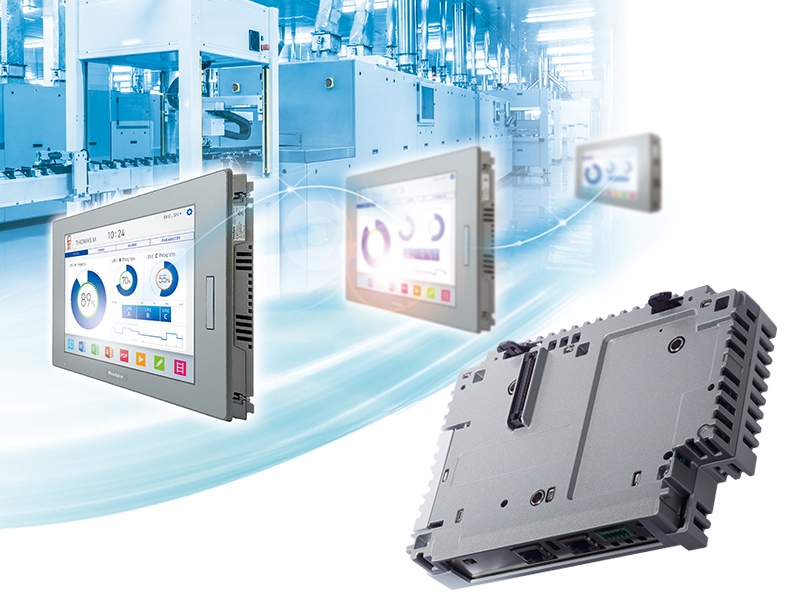 With a coated model of SP5000 Series display module, extended product lifetime for use in harsh environments compared to uncoated products. Corrosion resistance is also improved. Turn on the host terminal and each Multi Display Adapter at the same time (using a common power supply). Or, after turning on all Multiple Display Adapters and a standby screen appears, turn on the host terminal. Turn on or off Multi Display Adapters and connect or disconnect LAN cables, after turning off the host terminal.